If you’ve never had any waterproofing done to your outdoor deck, it pays to get it done as soon as possible. The longer you wait, the longer the job becomes to take care of possible wood rot or concrete deterioration. In some cases, it could mean complete deck replacement. In all, though, it’s going to require a professional who has the right waterproof system tools to get the job done right. Unless you have complete knowledge of how to do waterproofing, never attempt to do it on your own. You may need a unique waterproof coating you can’t acquire or create by yourself. Not being an expert, you may forget to do other things as well, leaving your deck still vulnerable to the weather. When relying on a professional, you should take a look at the tools they use to educate yourself on how the process works. Your deck needs a lot of preparation before any waterproofing occurs. 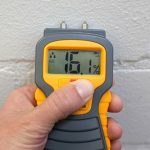 This includes an inspection to see how much moisture is already in the material. Using plywood on your deck, you may have far more moisture in the wood then you realize, requiring some repair first. The team behind your waterproofing checks for this, and they’ll use a moisture meter to determine any hidden moisture. They’ll know exactly what to look for, because you may even have the same problem under concrete. 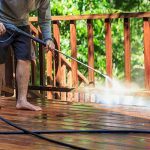 Before any waterproofing takes place on the deck surface, you need a dry and clean surface. While you could clean it on your own, you’re better off letting the professionals take care of this. They’ll already have the proper equipment necessary to make it thorough. One of these tools is a high-pressure hose to assure all debris gets cleaned up. As a result, it’s going to leave a wet surface for a while, hence requiring complete drying before further work begins. Another tool waterproof system installers use is a grinder to assure your deck surface is completely smooth. These do everything from light texturing to opening surface pores. 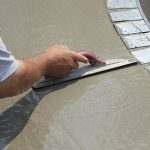 Grinders also remove prior coatings or paint you applied to your deck. 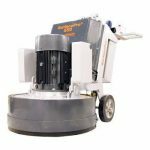 Most single-disc grinders are able to cover over 12 inches with a single pass on a deck surface. However, dual-disc grinders cover up to 20 inches. With an overly large deck, your waterproofing team has the right grinder tools to smooth over the surface quickly. Depending on what type of waterproof coating you’re using, you’ll need the right applicators to assure a thorough application. Stainless steel trowels are common, though so are pool trowels. 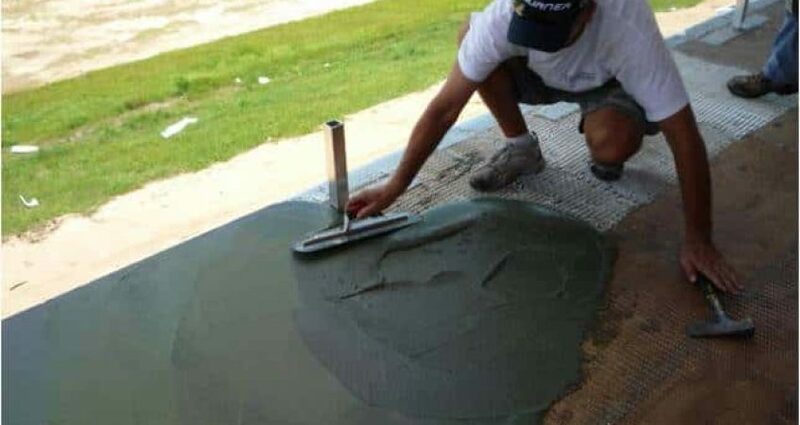 The latter is flat-bladed with rounded ends and intended to apply coatings to concrete. These are especially useful when doing waterproofing on swimming pool decks. Rollers are a common tool as well to assure smooth coatings. Missing just one small spot could mean water getting through a tiny hole or crack. So trust your waterproofing professional to use the best rollers, including paint brushes for tiny crevices. The entire waterproofing crew is going to take great care in assuring that they leave your deck spotless after completing all work. Much of this comes in simple tools like wearing safety gloves when doing the coating mixing and application. They’ll also wear dust masks or goggles for eye protection. These are things you might overlook if making the mistake to do waterproofing by yourself. Metal-spiked golf shoes are another common accessory worn by the crew. Wearing these protect the deck surface during the coating application process. At Pli-Dek Systems, we take waterproofing seriously with our proven expertise, tools, and patented deck coatings. Contact us to learn more about our waterproof systems to keep your deck going for years to come. © Copyright 2019 Pli-Dek. All right reserved. Thank you for contacting Pli-Dek! Within 1 business day someone will send you a list of certified applicators in your area. a. MANDATORY REQUIREMENTS are required for any and all areas that are vulnerable to snow and extreme humidity. b. If any of the following two (2) weather criteria are met, then the MANDATORY REQUIREMENTS are required to be followed in addition to the above mentioned (*see http://www.noaa.gov/).